We are pleased to introduce Jessica Solan, the Spring 2019 semester recipient of the Major John H. Mark, Jr. Study Abroad Scholarship. Jessica, a Manhattan College Communications (Media Production Major, with a Film Minor) student is using the scholarship to help defray the cost of her Spring 2019 study abroad in Rome, Italy. Congratulations to Kara, the winner of the Summer 2018 John H. Mark, Jr. Study Abroad Scholarship. A person cannot grow and develop without leaving their comfort zone and I am very ready to do that. I plan on grabbing this exceptional opportunity awaiting me and taking advantage of every moment of it. I have worked two jobs during the summers and breaks to save money for this journey and I will completely soak it all in. ...I am confident it (study abroad) will provide me with a fantastic experience. We will be tracing the history of Religion in Portugal, which is primarily Roman Catholic. My family is a devoutly Roman Catholic and it will be inspirational to absorb the background of our faith. In addition to working two jobs and carrying a full class schedule, Kara is part of the Division I college Cheer team. Let's all cheer Kara on to a rewarding experience in Lisbon, and much success as a Senior at Manhattan. 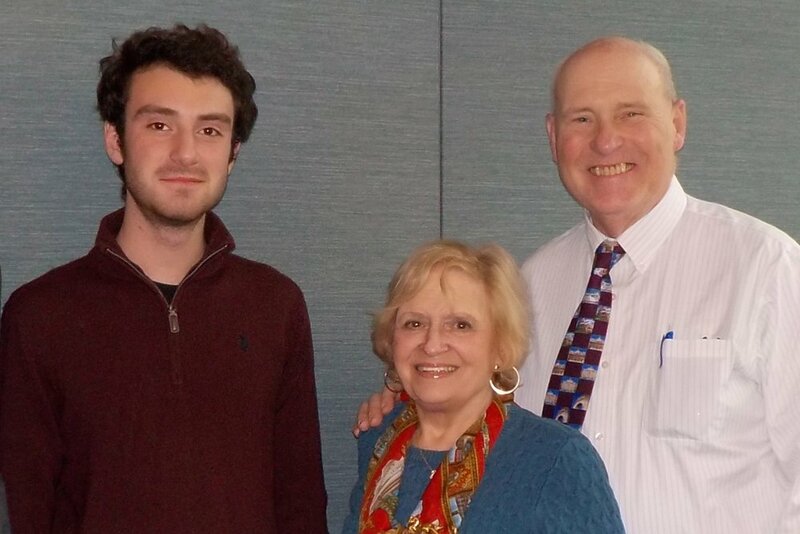 Antonio Paone Angela Mark John H. Mark, Sr.
Congratulations to ANTONIO PAONE, the Spring 2018 recipient of the Major John H. Mark, Jr., Study Abroad Scholarship. Antonio (International Studies, 2019) will be spending the Spring 2018 semester studying and working in Rome, Italy. His enthusiasm has no bounds. Antonio is planning, in addition to taking his International Studies courses, to complete an internship with an international development company in Rome, and to work in the Archives of the de la Salle Christian Brothers main house in Rome. I have always pursued that which sparks my interests. Since my freshman year I’ve worked in the archive office at Manhattan College, documenting, organizing and shifting through the records of our institution's history. This tangible, physical connection with the past I’ve found both fascinating and stimulating. ....The prospect of going to Rome is closely tied in with my passion for helping others and the preservation of materials I gained from archival work. Italian was my first language thanks to my father and the maternal grandparents who helped raise me. Italian language and culture have always been a part of my life and it has always been an aspiration to take full advantage of this insight and knowledge I was fortunate enough to have from a young age. .... . The archivist here at Manhattan told me of her past collaboration with the extensive archives housed there. I immediately saw an incredible opportunity for further experience in archival work, and I am enthusiastic to offer my time there. 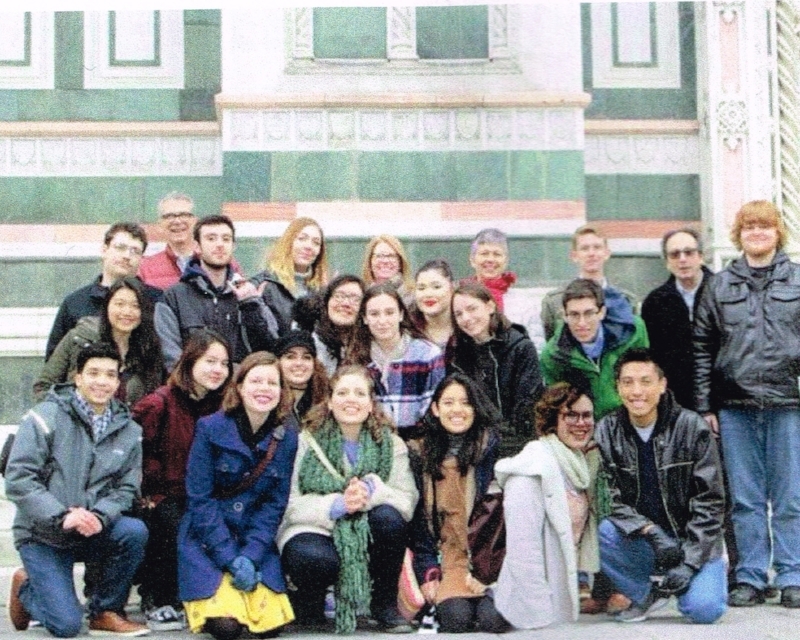 The Manhattan College Quarterly contains a nice "mention" of Antonio Paone, the Spring 2018 recipient of the Major John H Mark Study Abroad Scholarship. Please read the article on page 8, to learn of Antonio's work supporting the Christian Brothers' initiatives providing higher quality learning environments for children and families in approximately 80 countries. Congrats to Antonio Paone for an important job, well done. We are pleased to announce that Ms. Kiera O'Connor, an Elementary/Special Education major, concentrating in English and Psychology at Manhattan College, has been awarded the Major John H. Mark, Jr., Manhattan College Study Abroad Scholarship for the Fall 2017 semester. Kiera will be studying at NUI University, Galway, Ireland. NUI is internationally recognized for excellence in teaching and research. It has also been dubbed, by the NY Times as being located in the "Most Charming City." Kiera has promised to enjoy the local culture during her time in Galway. Kiera is a native New Yorker who graduated from Maria Regina HS in Westchester and St. Barnabas Elementary School in The Bronx. Kiera seems a perfect fit for the "Adventure with Service" theme of the scholarship. At Manhattan College Kiera is a member of Kappa Delta Pi, an International Honor Society in Education. She helped found and run "Irish American Young Leaders" which provides young people the opportunity to develop personal and leadership skills through local community service and organizational involvement. Kiera has been playing Gaelic Football since the age of seven. She currently plays for St. Brigid's Ladies Gaelic Football Club and Na Fianna Ladies Football Club. Having been captain of two teams and awarded the Pauline Boylan Coll Award for leadership qualities, Kiera also finds time to coach the underage program for the NY Gaelic Football Association. Kiera has promised to keep us updated on her work and adventures in Ireland and on the Continent through the Jaspers Abroad blog: http://jaspersabroad.blogspot.com/ Please read her blogs and post comments. Studying abroad has always been a dream of mine. Study abroad will introduce me to new cultures, ideas, and traditions. I am excited applying for the Major John H. Mark '00 because I am interested in making the most of my study abroad experience by participating in service projects, clubs, or other university activities. ...I plan to work as a volunteer with the local students either tutoring or coaching Irish Football. This will help me learn the culture and enrich my ability of teaching globally. Being able to return to Manhattan College and share my experience with my peers and encourage them is something I am looking forward to. This is a major step academically, professionally, and personally. Having the opportunity to study somewhere else and see how their academic community is, will be very interesting. ...I look forward to this experience at NUI Galway and studying abroad. Spring 2017 "Discover the World, Europe"
"Hi everyone, my name is Melissa and I am a Sophomore Communications Major at Manhattan College. I am so honored and grateful to be this year’s recipient of the John Mark Scholarship. I will be studying abroad this Spring through St. John's University's Discover The World Europe Program. I want to make a difference in the lives of the poor. After connecting with the children of Guatemala on my L.O.V.E. trip, I decided that my journey of service would continue in Italy, Spain and France for the next 16 weeks. I will engage in service-learning activities in local schools, soup kitchens and more. My heart tells me to help people, to give back and SJU provides me with the opportunity to do service-learning. In addition to my passion of service, I am Editor-in-Chief of an upcoming student-run women’s empowerment magazine called Lotus Magazine, a staff writer for Manhattan College’s newspaper, The Quadrangle, a sacristan for Campus Ministry, a member for the Manhattan College chapters of PRSSA and AAF. If you’d like to know more about my journey throughout Europe, please read my blog on www.jaspersabroad.blogspot.com." 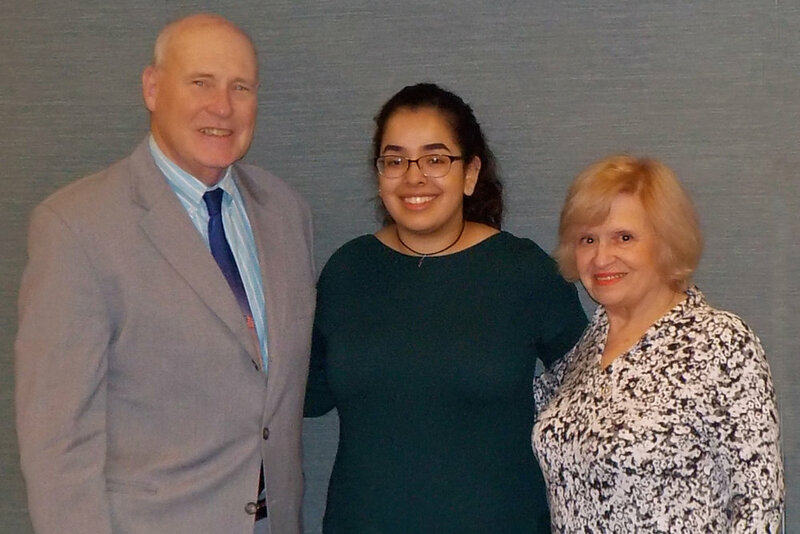 We are pleased to announce Ms. Melissa Gallardo, a sophomore majoring in Communications in Broadcasting, with minors in Religious Studies and Digital Media Art, as the Spring 2017 recipient of the Major John H. Mark, Jr. Study Abroad Scholarship. Melissa, a New York resident, was introduced to the world of SERVICE WITH ADVENTURE as a Manhattan College freshman. After connecting with the children of a small rural community (Tecpan, Guatemala) during last year's LaSallian Outreach Volunteer Experience (L.O.V,.E.) program and working to make sure their elementary school was an exciting place to learn, Melissa realized she wanted that short experience to expand to months, years, and possibly a lifetime. Melissa is one to roll up her sleeves and get to work on any project. As she explained; a part of making sure the elementary school was an effective place to learn, involved preparing concrete for the floors. During the Spring 2017 semester, Melissa will build upon her laSallian experience. This ADVENTURE WITH SERVICE is a Vincentian Educational Program (Discover the World, Europe) conducted in cooperation with St. John's University. Melissa plans to enhance her time abroad by doing service work in local schools, soup kitchens, and local communities. All this work will be in addition to completing course work, in five courses, spanning three countries, to fulfill her Religious Studies minor. We are proud to welcome Melissa as the Spring 2017, Major John H. Mark, Jr. Study Abroad Scholarship winner. As a Communications Major, Melissa is eager to report on her adventure through the Jaspers Abroad blog; photos to be included. Melissa will begin her program in mid-January. Melissa's positive LaSallian attitude was evident when she wrote, "As the character Ellie Fredricksen, in the 2009 Disney film, Up, once said 'Adventure is out there.'" We extend our heartfelt congratulations to Mr. Mahamoud Diop, a Junior at Manhattan College, the current recipient of the Major John H. Mark, Jr., Manhattan College, Study Abroad Scholarship. Mahamoud, a native of Bamako, Mali, West Africa, studying International Relations at Manhattan is using the Major John H. Mark, Jr. scholarship to help finance his Study Abroad experience at The Sorbonne, Paris, France. The list of Mahamoud’s accomplishments during his Manhattan College career is formidable. In addition to the Study Abroad experience, Mahamoud had, during his Sophomore year at Manhattan, participated in two Model UN conferences which prepared him for an internship with the Ford Foundation, during which he had the opportunity to work with the Permanent Observer Mission of the African Union to the UN. It is difficult to imagine how Mahamoud was also able to be Freshman Class Representative to Manhattan’s student government; a Resident Assistant at Manhattan; a Student Ambassador with Catholic Relief Services; while finding time to work as a Peer Money Mentor and a student employee with Manhattan’s Financial Aid Office. Mahamoud even made time to volunteer with Habitat for Humanity International, during 2012. We are quite pleased to have this award presented to a Jasper who embodies the principles of “service” as did John Mark.